First, the good (great, in fact) news: Julian Gollop, author of Chaos, Laser Squad, and the original X-COM: UFO Defense (known in Europe as UFO: Enemy Unknown; note that the recent Firaxis remake combines the two names) has announced that he’s remaking Chaos, and his ideas so far (the previous link goes to his development blog) seem great. 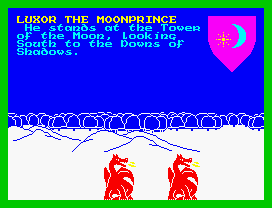 And now the bad news: Mike Singleton, creator of The Lords of Midnight, Doomdark’s Revenge, and Midwinter, has sadly died. He was in the middle of remaking The Lords of Midnight for iOS and Android, among other platforms. Chris Wild, who was doing the remake with Singleton, has announced that he will complete the remake, although it will understandably have fewer changes / improvements than intended. It is interesting to note that the two guys mentioned above wrote, between them, my favorite 8-bit games of all time. Beyond that… Gaming-wise, I haven’t had a lot of time for playing in the past few months. I returned to The Lord of the Rings Online (LOTRO) “for real”, and I’ve been enjoying the game a lot, although I don’t play it more than a couple of nights a week. The good part is that I’ve been doing it with a couple of friends, and we only play it when we’re together, making it more like a “normal” RPG, instead of an MMO. 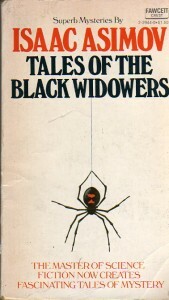 As for books, I’ve just started reading Isaac Asimov’s Black Widowers series. It’s interesting to see how Asimov was able to successfully create something that 1) was outside his “normal” thing (science fiction), and 2) has all its (short) stories following the same format, yet without making them repetitive or monotonous. In terms of personal projects… no big news here. I’ve been working on and off on something for about a year, but it’s not something to be shared with the world. 🙂 Otherwise, I’ve recently improved my online Fantasy Name Generator, which now supports new “types”, including hobbit names, science fiction names, and even modern, English-language names. More to come soon… I hope.